After 27 years of service, Marine Lt. Col. Ted Blickwedel started a second career, possibly more important than his time in uniform — counseling combat veterans. He retired from the Corps in 2006 and, a brief time later, the former field grade officer was working as an intern in a Department of Veterans Affairs hospital. Blickwedel thought he was helping veterans, but the work environment seemed too bureaucratic, with excessive emphasis by leadership on administrative duties rather than clinical care. Then in 2009, he found the Vet Center. “It was like I was born again,” Blickwedel said. At the Vet Center, which is the common name for Readjustment Counseling Services locations, run by the VA but separate from its other facilities, he was catering to the critical needs of veterans, specifically combat veterans with PTSD. Management supported the work he and his fellow counselors were doing without placing bureaucratic administrative burdens on them. But then things started to change. Upper management began requiring more direct service time with veterans but also continued to demand counselors complete the lengthy list of other tasks, from outreach to administrative work. It was tough, but still manageable. Then, two years ago, top leadership ratcheted up the requirements, pushing counselors to meet new visit count standards that forced them to make ethical choices about how much time they could spend with each client. Cut the visits short to make your numbers, spend whatever time is necessary with veterans and fall short on your numbers, or work more hours to complete administrative duties. This seemed the opposite of what the centers were built to be when they were formed in the late 1970s to help Vietnam War veterans — the answer to the VA’s endless bureaucracy. When Blickwedel began as a counselor, 16 hours of a 40-hour work week was expected to be spent counseling veterans. Around 2012, that rose to 20 hours, with no reduction in other duties such as outreach, paperwork and other administrative requirements. In March 2016, Readjustment Counseling Services, which runs the 300 centers across the country, instituted a visit count mandate requiring counselors to have 30 visits per week in a 40-hour work week. The stress mounted. And not just for him but for his colleagues at the Warwick, Rhode Island, center and elsewhere. Blickwedel watched the environment change. What had been a warm, welcoming place to work, where counselors felt nurtured and fulfilled, had now become a high-stress environment with leaders who only seemed to care about the numbers, counting visits, and shoveling veterans through the system. Everything became functionary. Counselors were not able to interact as much, and they mostly stayed in their offices, digging through work and taking lunch with the door closed to make the mandatory visit counts. Other counselors confided in him that they’d begun seeking their own therapy for job stress, fear of reprisals or being fired for not making numbers. Some went on anti-anxiety or antidepressant medications for the first time in their lives. He still wanted to help veterans in need, but the Vet Center had become the bureaucracy that he thought he had escaped. 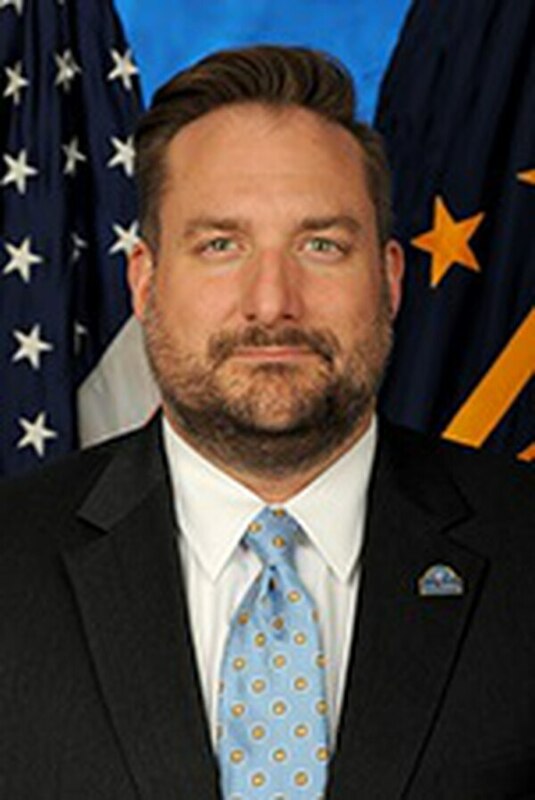 Joe Chenelly, national executive director of American Veterans, or AMVETS, said that burnout at the centers has been an ongoing issue since at least 2012. But the head of Readjustment Counseling Services points to increased care across the board and how most counselors are meeting the new standards. RCS Chief Michael Fisher told Military Times that his staff has provided 9 percent more visits and outreach in 2017 as compared to 2016. RCS also provided services for more than 287,000 veterans and family – 10 percent more than in 2016. “This is not about a hammer coming down,” Fisher said. Blickwedel was on his way out when, earlier this year, he decided to send an email to the more than 1,300 Vet Center counselors across the country. He wanted to see how other counselors were being impacted and how they were handling the new demands. All counselors currently working with RCS asked not to be identified by name, fearing reprisal or reprimand from RCS leaders. Some, when contacted, declined to speak at all for that same reason. In his email, Blickwedel laid out the problems he saw with the increased demands and metrics-based approach to counseling. It sought feedback from other counselors and management on how to meet veterans’ needs without burning out dedicated staff. In 24 hours, he received responses from 57 different counselors from 41 Vet Centers in 25 states, who all said the new measures were degrading their ability to provide quality services and contributing to burnout and fatigue. His deputy district director told him to “cease and desist” his emails and instead wait and move his conversation to a VA-approved online forum. Instead, he followed that email with an 11-question survey to gauge counselor concern with the increased demands being place on Vet Center staff. He sent the survey on Jan. 27, a Saturday. Within a couple days he had received 27 survey responses - before district and national Vet Center leaders shut down his computer access and email account. The survey asked questions about the well-being of counselors. More than three-quarters of respondents agreed that the productivity standards had “caused significant distress,” “negatively affected my health and well-being,” and “has degraded the quality of care I am able to provide to veterans,” among other responses. Blickwedel has since filed complaints with both the VA inspector general and the U.S. Office of Special Counsel. RCS leadership said that while they continually evaluate counselor feedback, most of their staff are meeting the new expectations. He said that three-quarters of all counselors are meeting the new standards – and the new standards are showing results. But some counselors see the new demands and how they are being implemented by middle management as threats to their jobs if they don’t make numbers. 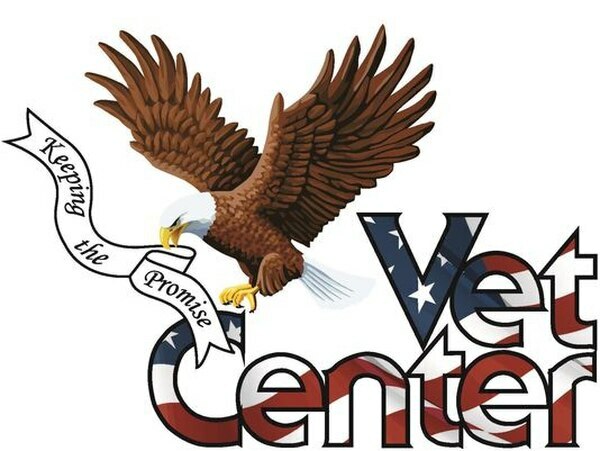 One retired counselor, Jesse Coulter, a Vietnam-era veteran who worked in the Vet Center program from the early 1980s until his 2016 retirement, said he saw major changes in the center where he finished his career. Despite years of outreach efforts and genuine improvements in VA health care, many newer vets still don’t trust the often intimidating and hard-to-navigate system. So, they continue to turn to a Vet Center. 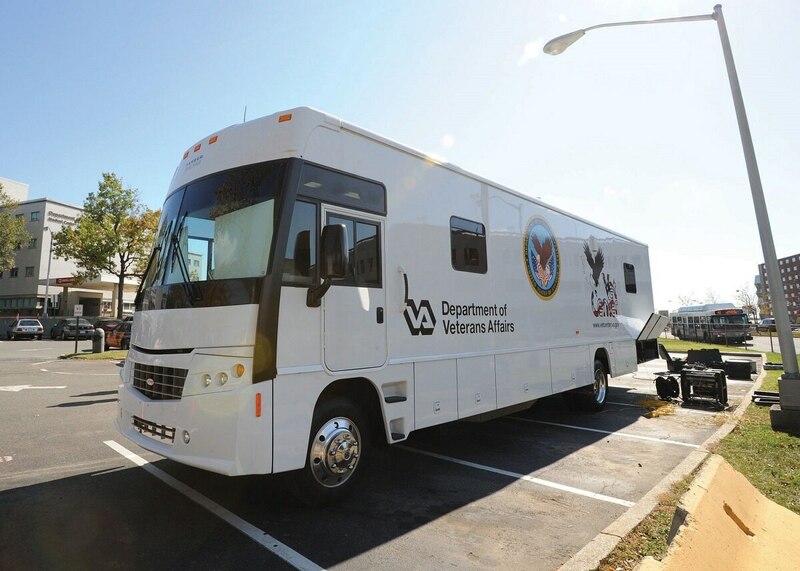 And though the intent was always to maintain a separate but connected relationship between the centers and the VA, many counselors in the centers say that the VA’s legendary bureaucracy has begun to creep into the center. The centers long stood apart from Veterans Health Administration hospitals and clinics, and for good reason. But in recent years, as the ongoing wars in Iraq and Afghanistan saw a spike in the number of combat veterans, and those vets began flowing into these small counseling centers, some taking up no more than a storefront with a handful of offices in an otherwise nondescript strip mall, the bulge began to strain the system. As a result, the RCS program grew. In 2000, there were 200 centers with a total of 900 employees, Fisher said. There are now 300 centers, 80 mobile centers and 2,200 employees. But some say that still hasn’t been enough. Chenelly said that burnout at the centers has been an ongoing issue since at least 2012. “As the number of veterans seeking mental health services rapidly grows, the number of staff and physical spaces for Vet Centers have not been expanded to meet the high demand,” Chenelly said. In 2015, a group of 14 team leaders and counselors, one from each of the system’s seven regions, performed a detailed analysis of time spent by counselors working on their various duties. Standards required counselors to spend 40 percent of their work week, or 16 hours, doing counseling visits; and 10 percent of their time in other clinical duties such as case consultation and supervision. The remaining time was reserved for administrative duties. But, the standard was changed to require 50 percent of total time devoted to counseling veterans. That left the other 20 hours of the week to accomplish every other task required of them, according to the report. The standard, which at an hour each would translate to four clients per day, was more demanding but still workable, multiple counselors said. One year later, on March 1, 2016, following the report recommendations, Charles Flora, then the acting chief officer of RCS, sent a memo to RCS district directors and regional managers setting minimum expectations. The expectation for counselors was set at 1.5 visits per hour, resulting in 20 hours of direct service, or 30 visits a week. “We tasked the group with determining the maximum capacity of counselors, defined as the maximum amount of time a clinician should be in front of a veteran, service member or family member providing services, given all of the other tasks that the clinician has to do,” he wrote. The system allows RCS leadership to “understand local demand and increase resources to locations that are experiencing an increase in demand,” he wrote. The changes have been in place for nearly two years, based on the previous RCS head’s 2016 memo. Fisher emphasized that the goal is for a counselor to have 25 visits a week, and that most counselors are meeting that goal. He added that those who are not simply need to come up with a plan. But the tension resides in what qualifies as a visit. Counselors interviewed for this article said that they held to the accepted practice of an hour-long visit being the typical length of time to see a client. And those sessions often go over the hour mark. A Southern Connecticut State University study published in 2004, which Blickwedel has cited in his grievance letter to the Office of Special Counsel and the VA IG, noted increased burnout among therapists with high caseloads. The average counseling session for a recent period was 77 minutes long. When phone calls of 15 minutes or less were removed from that data, the average interaction was 84 minutes long, Cashour wrote. Blickwedel said those average times proved his point. If an average session is that long, then a counselor can’t manage 30 or even 25 visits in a week. There’s not enough time. Blickwedel and others admit that the industry standard for general counseling is about 50-60 minutes. But they argue that they often need more time when dealing with serious combat trauma, military sexual assault trauma, bereavement and family counseling, which are some of the most difficult cases in the field. Sometimes veterans take longer to get into the core of what is ailing them. Reliving trauma isn’t something many patients want to experience. And if a veteran feels like he or she is being rushed by a counselor or cut off, they know it and they’ll shut down, he said. But at least one counselor interviewed for this story disagreed with the complaints about productivity standards. The counselor is a veteran who works at a center near a military base in the southeast United States. The counselor said the RCS demands are no greater than what civilian counselors would face in similar trauma-related care. The counselor also said that the nature of treatment — combat trauma — isn’t unique when counselors consider other types of treatment for traumatic cases. “You can’t tell me the client who picked up pieces of his buddy and put them in his pocket is any worse than that little girl who got raped by her father,” the counselor said. The counselor also said that the high volume of clients coming to the centers shouldn’t stay in the them for treatment if they have serious mental health issues. Coulter, the recently retired counselor, disagreed that the centers shouldn’t be used for long-term care. Though he spent most of his career at a center in West Virginia, he later transferred to a center in Florida. There, his supervisors soon implemented a “business model” approach to tracking visits without much focus placed on the quality of care by mid- and upper-management, he said. Coulter wasn’t completely opposed to measuring how employees are doing. One way to meet expectations is to hold group sessions. A 10-person group counts for 10 visits, for example. A decades long social worker, veteran and counselor at a southeastern Vet Center zeroed in on problems with using group numbers as visit measurements. “They want to book your sessions back to back all day long,” the counselor said, adding that management is “indifferent or outright hostile” when counselors push back. Blickwedel said evidence-based clinical practice shows that groups are usually focused and short-term, and last for only eight to 12 weeks. But once the 12-week period is up, then what? Then the counselor must come up with another group, even though coming up with new groups every eight to 12 weeks is not sustainable. A national-level psychology expert said that while meeting productivity standards might balance a spread sheet, it may not be the best method for truly measuring patient care. “None of this comes as a surprise to me,” said Dr. Heather O’Beirne Kelly, director of military and veterans health policy with the American Psychological Association. She said that studies show counselors who are dealing with patients with trauma and have high caseloads often experience burnout. “Staffing levels for mental health providers are often too low, leading not only to access issues for veterans but to burnout for clinicians,” O’Beirne Kelly said. Running caseloads of more than 70 patients at a time was not unheard of. A counselor in the western United States, who has worked in two of the centers, heard from counselors at other centers who have caseloads of more than 150 veterans at a time. The caseloads alone were forcing some to leave for private practice. Clients pour out tragic stories, relive their traumas again and again, and then must start over with a new counselor. And new patients keep coming in the door, as many as five a day, the counselor said. “Management says ‘deal with it,’” the counselor said. But the centers are not lost, the counselors said. With some changes, officials could bring the centers back to what they were decades ago – a welcome place for vets that doesn’t look or feel like the VA.
Coulter has met Fisher, and he has some advice for the chief.